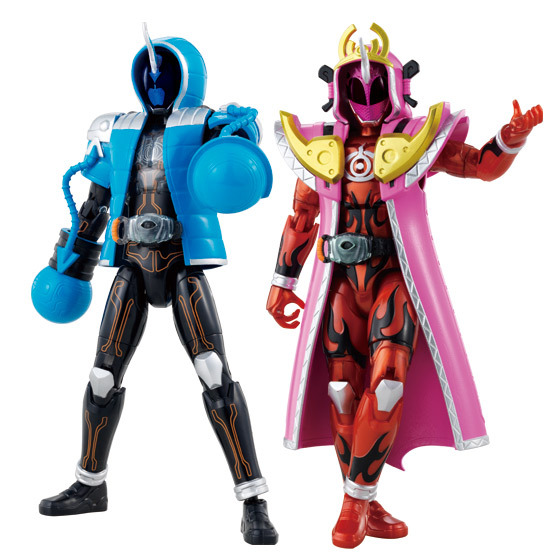 Tokunation › Kamen Rider › Premium Bandai Kamen Rider Ghost PB-01: Newton & Himiko Damashii Set Revealed! 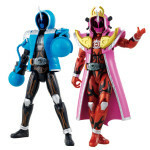 Premium Bandai Kamen Rider Ghost PB-01: Newton & Himiko Damashii Set Revealed! 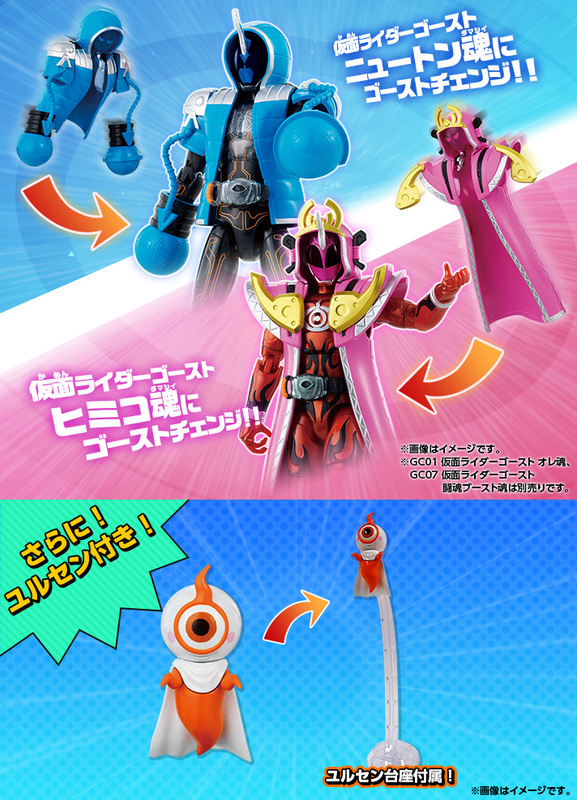 Bandai Premium has opened a page showing the first Web Exclusive items for the Kamen Rider Ghost Change action figure series! 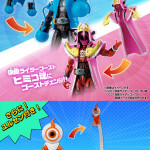 This new set, dubbed PB-01 will contain two Damashii: Newton and Himiko! 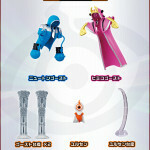 In addition, PB-01 will include a miniature Yurusen figurine. Ghost Change PB-01 will cost a mere 3780 Yen and will be released in July 2016. Please consult your preferred proxy buyer if you wish to pick up this set! 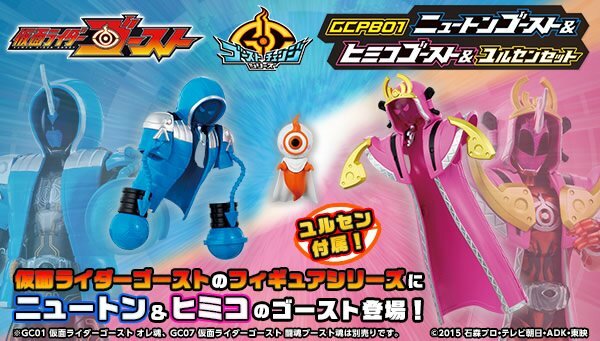 Featuring Newton, Himiko and YURUSEN! Pretty expensive though so likely a pass for me. May as well wait for the Figuarts, as much as I'd like to have the ghost itself. Oh of course. OF COURSE Newton would be a web exclusive. That's a great big, heaving sack of "Screw that". I may get this set... I do enjoy the Ghost Change Line if only for the Ghost Parka's themselves, since I enjoy that concept alone. At least they are in a set. I had a strong feeling they would come separately. Ya know, cuz Bandai. 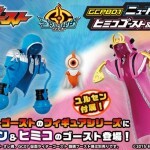 Hmm.....if Bandai also release Legend Riders Parka Ghost and some other Parka Ghost (Kamehameha, Santa Claus, Ikkyu, Phytaghoras and Galileo), thats would be really cool too.